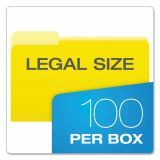 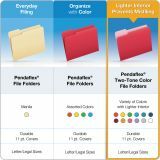 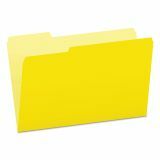 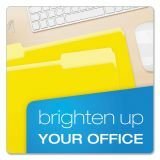 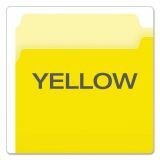 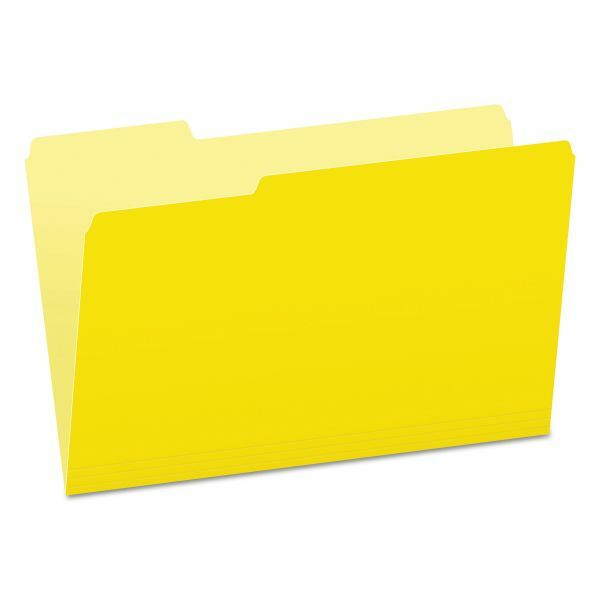 Pendaflex Colored File Folders, 1/3 Cut Top Tab, Legal, Yellow/Light Yellow, 100/Box - File folders are perfect for color-coding. 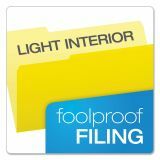 Two-tone design features a bright exterior color and a lighter shade interior to reduce misfiling. 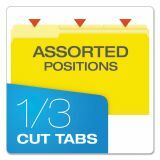 Single-ply tabs are 1/3 cut in assorted positions. 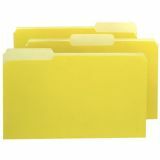 Folders are made of 11 point, acid-free stock.